Twitter pics!. 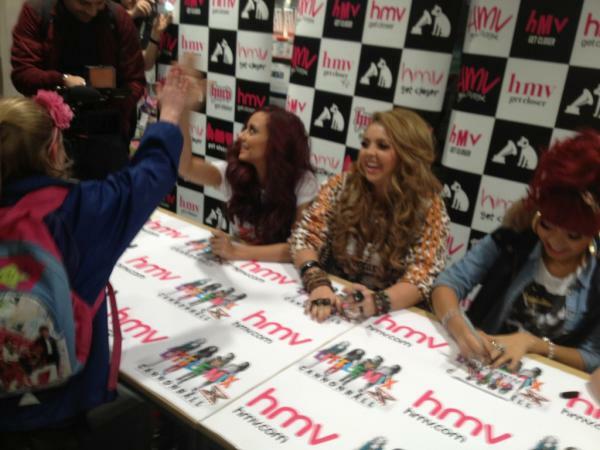 HMV single signing in South Shields!. Wallpaper and background images in the little mix club tagged: little mix ♥ jade thirlwall perrie edwards jesy nelson leigh-anne pinnock twitter pic photo. This little mix photo might contain tienda de tabaco, tienda de estanco, estanco, tienda de tabacos, estancos, periódico, papel, revista, tabloide, trapo, and puesto de periódicos.